“My love of knives came from my being a chef at a one-star Michelin restaurant and not having the knives I really wanted or the knives that lived up to my expectations,” says Yves Charles, the director of the atelier Perceval in the famed knife-making town of Thiers in central France. 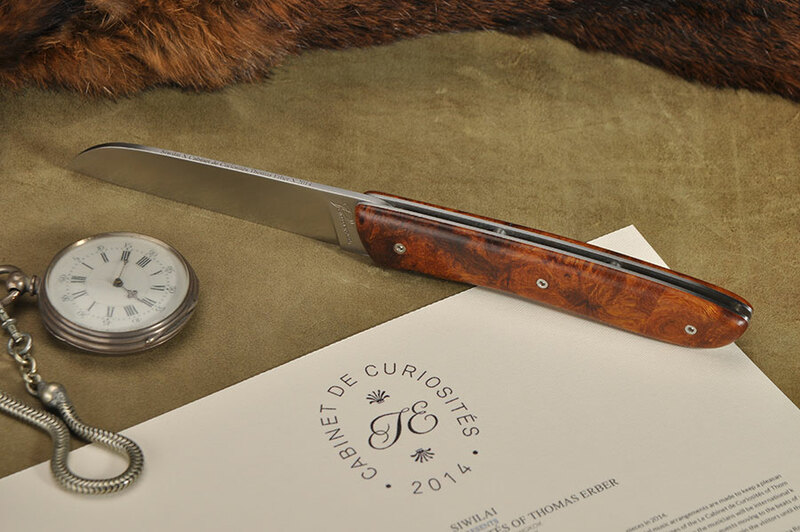 The harmonious design of Perceval knives blends old world beauty with modern techniques, making them a critically acclaimed industry favourite, with opulent customisable options allowing for bespoke creations in exotic woods, mammoth tusk or even meteorite. The “L-08” model brings to mind the rounded, voluptuous forms of 1950s automobiles. This modern tool, a city version of the folding knife, features an ergonomic shape, clean cutting power, and a lifetime guarantee. 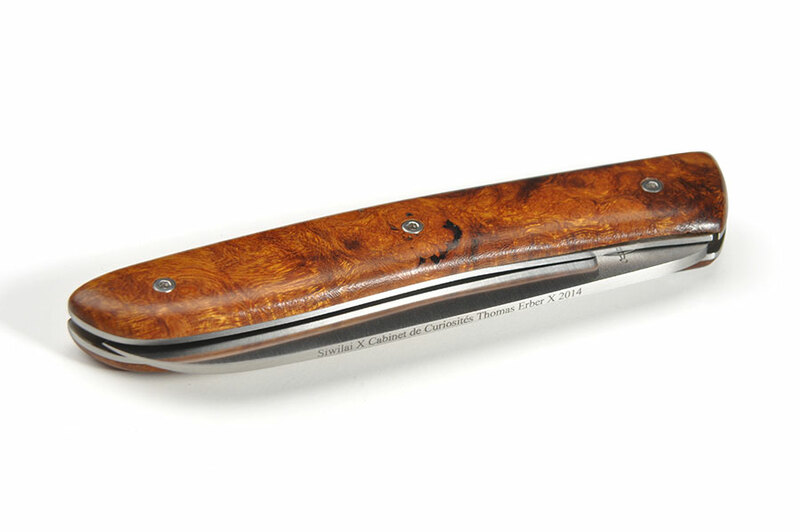 Its cryogenically-treated blade in 19C27 Sandvik steel measures 57 HRC on the Rockwell scale. 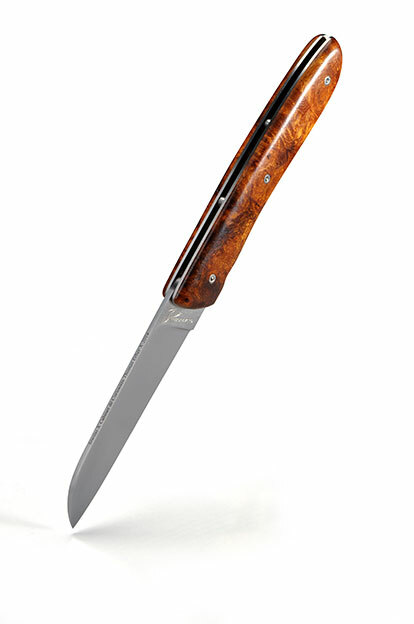 The handle is in Arizona ironwood burl (Olneya Tesota or Palo Fierro), one of the flagship materials at Perceval, belonging to the Fabaceae family. This precious wood, which is one of the heaviest and densest in the world, is thousands of years old. It can only be worked when it has died naturally and dried in place for some 3,000 years.